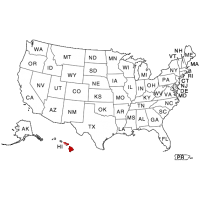 Hawaii maintains its criminal records through the Hawaii State Judiciary. This is a source that provides limited data to national databases, and Intelifi can provide a package that includes a direct, real-time statewide search that will cover every county in the state. This will cover the gaps in reporting from the State Judiciary, and ensure you obtain every possible record from every court. This is imperative for employers, because relying only on a national database can mean you could miss a criminal record. Intelifi will provide complete case information for all Felony and Misdemeanor convictions. It is important to know about all crimes, ranging from Misdemeanors such as Shoplifting, to Felony cases such as Grand Theft. Contact Intelifi today to speak to one of our knowledgeable account managers, and create a comprehensive screening solution for the state of Hawaii.